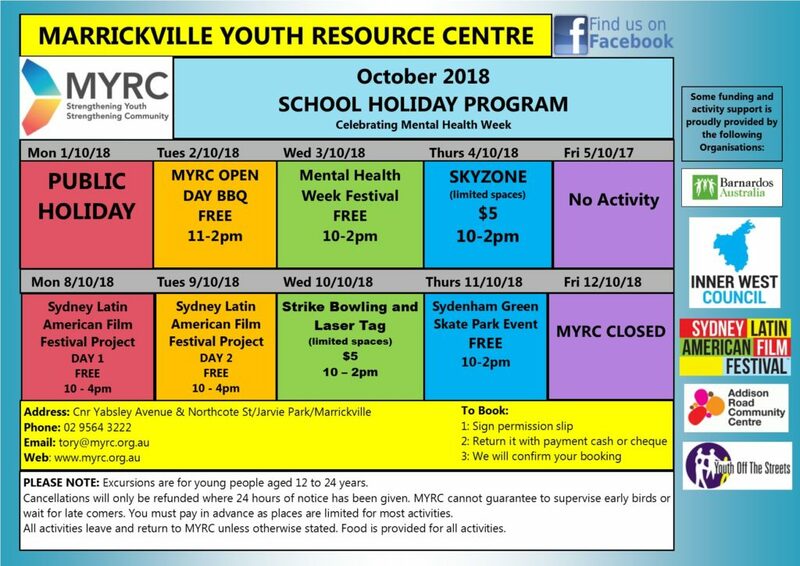 MYRC have organised fun and interactive activities for the October 2018 School Holidays! Activities include an Open Day BBQ, Mental Health Week Festival, Skyzone, a two day Sydney Latin American Film Project, Strike Bowling and Laser Tag and the Sydenham Green Skate Park event. We are celebrating Mental Health Week during the school holidays as it is important to raise awareness of mental health issues and how to seek support for yourself and your loved ones.